Gradually, more bishops are releasing official statements. Here’s the release from the solid, holy Bishop Paprocki who led his entire diocese in making the preparation for consecration to Jesus through Mary using 33 Days to Morning Glory. When asked about this aboard the papal plane on his return flight from Ireland on August 26, Pope Francis said, “Read the statement carefully and make your own judgment. I will not say a single word on this.” Frankly, but with all due respect, that response is not adequate. Given the gravity of the content and implications of the former Nuncio’s statement, it is important for all the facts of this situation to be fully reviewed, vetted, and carefully considered. Toward that end, Pope Francis, Vatican officials and the current Apostolic Nuncio should make public the pertinent files indicating who knew what and when about Archbishop (formerly Cardinal) McCarrick and provide the accountability that the Holy Father has promised. This is good news! I love Bishop Paprocki, and had the pleasure of working with him behind the scenes when I volunteered at Marian Conferences in Chicago. He was fondly referred to as the *hockey playing bishop*. Charlie, by now it must have crossed your mind, or been noted here, that your March to Washington may not be to the Congress or White House, but to the Chancery or Papal Nunciature. There is already a call from Church Militant to go and make your presence felt outside the Bishops conference in November. I believe there are already nearly two thousand signed up. In case anyone is interested. Yes, Julia. Praying for a a peaceful, fruitful encounter between the gathered laity and the prelates of the USCCB. ASOH readers can decide for themselves whether this article is fact or slander. Yes, Frank. Read it at another source and we’ll never know for certain without a complete investigation. The current firestorm in the Catholic Church sparked by Archbishop Carlo Maria Viganò’s letter containing accusations against our Holy Father, Pope Francis has caused several members of our diocesan family to ask for my reaction on the matter, which has prompted these thoughts. First, I need to emphasize that I do not have any privileged information about this matter, nor do I have the facts necessary to come to a definitive, impartial judgment. Nonetheless, the allegations lodged by Archbishop Viganò involving Pope Francis are substantive, and need to be investigated in a prompt and just manner. I find the statement to be measured and appropriate. I was still working on my letter to Bishop Tobin and wondering why I didn’t really feel it was finished. Happily, I am now going to have to do a substantial rewrite. Thank God. I think, answering the 54 day Novena for the Nation and the Church, Our Lady is powerfully interceding for the pouring out of grace. You have a great bishop, JT. May an investigation ensue as soon as possible and all be resolved in the Light of Truth. You are correct Lin. It is Thomas J. Sometimes my typing gets ahead of my brain. I am not certain of his full history before he came to Providence. Some of his prior assignments were in Pennsylvania so I was uncertain what his position would be on the latest developments. I find his response to be a hopeful beginning. I have watched in horror as more and more stories have been published – by credible sources such as The American Conservative. They allege perverted behavior; betrayal of trust, financial corruption, evasions and lying. Has anyone noted – especially among the clergy – the utter sacrilege of this all and the implicit insult to almighty God? I remember one priest making reparation by fasting and an all night vigil……..where are the rest? Do we not fear God and His righteous justice? Wasn’t Jerusalem utterly destroyed and the Jewish nation scattered by these same sins? Lord God, remember our weakness and accept our repentance. We have gravely sinned against You and Your Love. Remember the sacrifice of Your Son and the sorrows of Mary. We have no other hope. Yes, CJ, the revelations are horrific and, it seems, even some of those among the clergy have lost their faith. The hoped-for complete investigation to come will shed light on that which MUST be corrected. As ugly as it is now, we can take consolation in knowing that these revelations coming to light now set us on a path, by the Power of the Holy Spirit, to purify the Church and restore her splendid Beauty. And these priests are responding to Jesus’ Call to them to repair for their brother priests. How beautiful is that type of prayer and sacrifice! Even the laity who have read the book have taken seriously Jesus’ request to make reparation for the clergy. And everybody wins as we’re all sanctified in the offerings, grace washes over the souls of the guilty – hopefully received as an inspiration to repentance and latched onto for the sake of conversion, and God the Father receives the satisfaction which His Justice rightly demands. Mercy and Justice are not opposites; they are intimately intertwined in a great mystery of our faith. I know many, both laity and clergy, who are requesting and/or offering Masses of Reparation, invoking the Precious Blood of Jesus over all that is. In fact, many of these same folks have for years included prayers of reparation in their daily Rule of Life, having been sensitive to Our Lady’s request for reparation, re-echoed in SO many places in this Age of Mary. Amen to your closing prayer, CJ. God is so close to us in our sinfulness. It has been so from the very beginning. When asked who is the perfect parent, the only answer can be: God the Father. No dysfunction in the family in the beginning, but look how life turned out for the Perfect Father and His kids. Yet, He knows we are made of dust. His Justice AND His Mercy were expressed in response to our initial human failing, the original sin. In God’s Justice, the succeeding generations have been in need of the waters of Baptism to truly put on the Person of Christ… and, still, we suffer so much from concupiscence and every kind of nearly unbearable human suffering. AND Oh! How Abba’s Mercy rolled forth with the promise of Our Mother and Her Son, the Messiah, Whose Redemption is Infinite, reaching to these very days, ready to save us yet again. 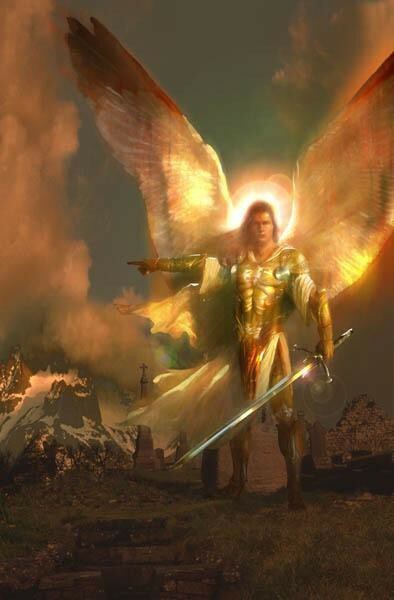 We’re at another turning point, a time to “Choose or Perish” said St. Gabriel to Charlie. (Have you ever noticed how St. Gabriel is present whenever God is ready to act in extraordinary ways connected to the Salvation of Souls?) I love Scott Hahn’s book, A Father Who Keeps His Promises: God’s Covenant Love in Scripture. The book is based on the theme of how we stiff-necked humans continually, throughout salvation history, break the Life-giving Covenant which Abba extended to us, His children. And here we are yet again, as in the Garden. We DO have a choice to repent, to become part of the solution, to ultimately exert our free will to LOVE as God LOVES. These lyrics from the musical, Children of Eden, poetically express our current juncture in salvation history-in-the-making. Blessed be God in His Justice and in His Mercy! Your prayers and affection are precious gifts. Thank you so much, CJ. You remain in my heart and prayers as well. Archbishop Charles Chaput of Philadelphia told a conference that had met to discuss the “young people” of the Church that in light of the abuse crisis in the Catholic Church he had written to Pope Francis asking him to cancel the upcoming Youth Synod set to take place in Rome. “The bishops would have absolutely no credibility” in the upcoming Youth Synod, Chaput told the Cardinal’s Forum, an annual gathering to provide academic formation of seminarians and continuing education for lay people, yesterday. The synod’s planned dates are set for October 3-28, 2018. Prophetic and brilliant! This is one reason this good priest & bishop should be made a Cardinal! What a great idea that would be. I remember reading the Lifesite piece back in March, about the “ideas” young people were putting forward – or rather, were more likely being manipulated into putting forward – and being very uneasy. Calls for people in the Church to be authentic are rising… and that’s a good challenge! Don’t forget to unite Rosaries today 1st Month with Cardinal Burke’s storm Heaven Rosaries for the good of Holy Mother Church. The good Cardinal remembers all who join in at Holy Mass on the first of the Month. This Luz De Maria (August 17th) message is an eye opener! Oh, my. These incontrovertible facts certainly make it hard to continue giving the benefit of the doubt. Hi Charlie, Beckita, and RNS family. I miss you all. Charlie I was comforted by your post, thank you again. As you know I dont comment here much these days but I do read the posts and many of your comments. Always insightful. sacrifice for our Church in humilty. Speak less pray more but when we do speak, speak Truth in charity. The Vigano translations and source articles have been done at my home over the last month, by a Rome correspondent, who is our frequent house guest. She is a very holy, prayerful, consecrated lay single with an advanced theology degree. She speaks with Vigano and many other global Church leaders from our kitchen table almost daily. We help QC their articles. Sadly, there is much more to come. And the sATAN will not just give up and leave. So this will get worse before better. But as Charlie wrote, what an honor that God choose us to be His faithful at this time in history. Great to hear from you, Rich. SO agree about the painfulness in purification and the needed response to pray and sacrifice in simplicity and humility. Praying for truth to be revealed at all levels. Prayers for you and your dear ones and all here. It’s good to hear from you, Rich. Seems you are helping some good work get done! Nice to see you again, Rich. I think since the time we are in is the “storm of storms”period we who are close to and concerned with the things of heaven should and will be shaken to our core. I also consider that truth and goodness and what’s what is being turned on its head because these are the times that even our structures in these things are being shaken and tested. We must always be mindful that our nature is a fallen one and we are dependant on God and His supernatural grace to rise above this. Sin and temptations tests us for weaknesses and we then can decide if we will “serve or not serve” the Lord. And so it is happening. Charlie makes the point that we have to “own” our decisions-right or wrong, and this is the sticking point because our decisions will ultimately contain a little of both. Faith, Hope and Love are our real calling, everything else is passing away. These events remind me a little of what it is like when a child finds out their parents aren’t perfect. Their worldview is somewhat shattered and some rebel against them and start a life of dissipation. Others recognise the humanity in them and find it all a little funny. Other, who love thier parents, don’t change too much from this revelation having been properly formed and solid in themselves and able to withstand the shifting tides of life with grace and confidence that these things happen. I think God allows such things so we will never become too dependant on anything but Him. So wise and true, Phil. We MUST be shaken from the illusion that we can do anything good without God. Charlie also conveyed – paraphrased – that any idol which keeps us from total reliance upon Him will be burned out of us. I’ve noticed that people who have been committed believers in the Lord have been suffering for a while in ways that have tested their faith to the max… and in the trials, their spiritual muscles have strengthened beyond previous ability. As i see it, all the better to minister to those around us when the Storm hits full bore. I love God’s jealousy which keeps Him intimately engaged in all our joys and sorrows. He is the expert at using our self-made messes to draw us back and the sure and certain truth that He draws good from evil is an extraordinary joy as we carry on in our ordinary ways. So unbelievably true. In some ways, He seems to have us feel the shame and horror of others’ sins as if we are doing the same sins. He is calling us to prayer, repentance and mercy for others. We are so dependent upon His mercy now, which calls us to prayer and repentance. Thank you for so beautiful a comment! Yes, we must be totally, unconditionally, irrevocably and eternally abandoned to our loving and merciful God, Who is All in all. Linda, there *are* many things which we don’t know for certain; there *are* other things being brought to light. I like and respect Mark Miravalle too. I actually was on a pilgrimage with his wife in 2003. There is a distinction to be made about how we speak about the Holy Father and it’s about what is in our hearts when we speak of him. If we are sincerely concerned about some of Pope Francis’ deeds, we must be able to speak with respect about even the difficult things. If we relish tearing him down and only wish to trash his reputation, that is a serious problem called sin. If we speak in order to sort out what is before us and try to understand what is unfolding while being ready to NRStep in whatever ways prompted by Holy Spirit, that is not a problem, for we are constantly judging and discerning in life. God know. He KNOWS each of our hearts. And “Jesus also said, ‘Do not judge according to appearance, but judge with a righteous judgment. '” (John 7:24) It is true that God WILL straighten out this mess, as you say, and it is also true that He invites us, each one of us – albeit in different ways – to be His hands and feet, His instruments, to act for Him and in His Name in order to set things right with the Lord. God bless us all. Yep, Beckita– one thing that I’ve noticed in the last year or so is that I’m wrong a lot! Opinions about people or situations have proven to be the opposite of what I had thought. I have kind of an “accounting” brain. I want everything to be black and white and to fit neatly into its own little box. Nope! The Holy Spirit is mercifully showing me the error of my ways. I was so angry a few weeks ago about the horrendous information being revealed. I’ve shifted to being more joyful that our Church will be refreshed and beautiful because of this. Not angry, don’t hate anyone. Just pray God’s Will be done. No clue how this will all turn out– probably not at all as I would guess. And I’m trying to not guess! I can’t fathom the behavior of the Pope or many of the hierarchy, but not letting it steal my peace. God bless you all. What a wonderful community. Who’d have thought several years ago that this is what would transpire as we travel down the road together? Awesomeness, Kim! Joy in the Journey. Ok. Strap in for this incredible homily from a priest in MN. Download the Aug 19 homily. It is very much worth the 14 mins. Christ’s grace and peace to you all! Smiling, thankful, as I just replied to Rich about how this homily continues to show up here… which is a good thing. I see, by your link, this time it’s in video format. Fr. Altier is a good, solid priest. oops- missed that as it seems like the posts may have been going through moderation together or when another one was posting. That is very funny for sure! May the Holy Souls rejoice in all the bings we can bring ’em, thankful! May all the souls of the faithful departed rest in peace. Amen. After doing more reading and more searching I finally had to stop. I cannot take this. I have been in a ton of pain with all of this, not because I doubt my allegiance to Pope Francis as the Vicar of Christ, but because so many everywhere online are attacking him outright now, and because this is causing others to doubt him, some to even leave the Church, doubting that God is in complete control and that Hell can never prevail against His Church. It is tearing at the heart of the Church. What JoeCro said about presuming innocence is so important! Fear, Judgement, Anger, Doubt… all demonic. I asked the Lord, begged Him to show me where He wants me to stand on this because I do not want to be contrary, to belittle other’s views and because I fear being deceived, taking a wrong turn and offending Our Lord just like anyone else here… and this is what He gave me, and led me to immediately after asking. And so this is where I am standing…firmly! 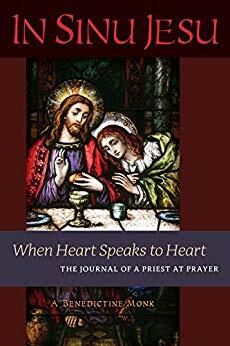 “The reverence you pay to [priests] is not actually paid to them but to Me, in virtue of the Blood I have entrusted to their ministry. If this were not so, you should pay them as much reverence as to anyone else, and no more. It is this ministry of theirs that dictates that you should reverence them and come to them, not for what they are in themselves but for the power I have entrusted to them, if you would receive the Sacraments of the Church…. So the reverence belongs not to the ministers, but to Me and to this glorious Blood made one thing with me because of the union of divinity with humanity. And just as the reverence is done to me, so also is the irreverence, for I have already told you that you must not reverence them for themselves, but for the authority I have entrusted to them. Therefore you must not sin against them, because if you do, you are really sinning not against them but against me. This I have forbidden, and I have said that it is my will that no one should touch them. For this reason no one has excuse to say, „I am doing no harm, nor am I rebelling against holy Church. I am simply acting against the sins of evil pastors.‟ Such persons are deluded, blinded as they are by their own selfishness…. It is Me they assault, just as it was Me they reverenced. To me redounds every assault they make on my ministers: derision, slander, disgrace, abuse. Whatever is done to them I count as done to Me…. St. Catherine has once again come to my rescue. I love her, and she is a Doctor of the Church! She came to my rescue 30 years ago as well. I pray it will help and if this has already been posted- sorry, I have not read all the comments yet! I Love you all and praying…and shaking! Lord have Mercy! So true, Snowy, that the office of the priesthood deserves every respect. The Catechism of the Catholic Church speaks clearly to the validity of the sacraments, even when a cleric is struggling with serious sin. How our prayers are needed, as much as ever, for the weak in faith who are being tempted to jump ship. Again, the outright attackers who are going after Pope Francis with vindictive malice are revealing their hearts as are those who are striving to look at what is before us, to understand what is being shown, that they may, in an informed way, pray and seek the Lord’s guidance on personal next right steps in order to become part of the solution(s) needed to weather this Church Storm and contribute to the rebuilding that is now needed. From the beginning of his Papacy, I couldn’t stomach the all out attacks on Pope Francis. And, to this day, I will not go to such sites to read or comment. I read this and thought it is very appropriate for a call to prayer. https://aleteia.org/2018/09/01/priests-on-long-island-undertake-25-day-communal-penance-of-fasting/ They are inviting parishners to do likewise. Yes, it’s just better to avoid it! But sadly, almost everywhere you read, wow, even most of the headlines are so bad they literally make me feel sick. I did notice that Michael Brown on Spirit Daily is doing a good job of weeding out the bad ones and giving a more balanced approach…one of the very few! Herein lies what Charlie made clear, that those things we hold dearest would be torn from us and we would have to make hard decisions. Snowy publishes a doctoral truth from St Catherine about how far we are allowed to go into judging rightousness and how God has placed a limit on our right to judge those in authority. The thorny path to truth is treacherous my friends and the narrow path lined with arrows and self deceit. Don’t allow the enemy to push you past the point of grace into sin by overstepping your right to judge what is not your right to judge and end up abandoning the very edifice you are saved through. I went to confession today and told my pastor about the great cloud of confusion that has descended over me by the scandals. He couldn’t help but ask me “do you think that we (priests) aren’t just as upset about this as you, maybe even more so?” After saying this, he started tearing up- physically upset about his world crumbling around him. I couldn’t help but be reminded that the fathers of the church (bishops, cardinals and the pope) are his fathers and the heads of his family scandalized and broken for him in a much more personal way than it was for me. After a brief moment he asked me to go online and listen to a song that helped console him in this time. May it console you too. Thank you for sharing this music, Phillip. The lyrics are wonderful. Your comment caused me to take pause and reread the passage from St. Catherine, whose dialogues I, too, love. And I maintain, even as the Lord gives caution in the passage Snowy shared, He is, right now, looking to us and counting on us to *not* be enablers of dysfunction, deception, or any kind of abuse within our Church. The words of Our Lord given to St. Catherine are a mandate to extinguish evil gossiping as well as the judging of a priest’s heart when we see him sinning. The application of them in this state of where we are in the Church calls *also* for prudence in acknowledging that abuse of anything or anyone thrives in secrecy. We *must* be able to speak meaningfully and openly about what we are living, for when done justly and charitably we can be enLIGHTened and inspired with solutions. To speak of what is before us and sort through what we are processing is hard work to do it well. A prayer this evening for your pastor and for you, Phil. Prayers for all in our Church who are weeping, silently and aloud, because of what we all have wrought. May God’s Justice and Mercy reign. Dear Phil, Thank you for sharing this. How honest and humble of your pastor to share this with you. What a call to stay united in prayer and speak truth in love like you and your pastor did. God bless him and all the priests and bishops and cardinals grieving over this betrayal. That was so sweet, Jen!💕 thank you! I was at vigil Mass last night here in Renton Scotland, said by the African priest who has been appointed to the parish. Like in my other home New Zealand it is foreign missionaries who are keeping the Church going here. He spoke about the old fast from midnight and reverence for the Eucharist and even mentioned mortal sin and hell but not in the old fire and brimstone way. He was very impressive. I was also given a wee reminder about how vulnerable we are to events beyond our control in a small and rare earthquake we had here in Helensburgh, Scotland, this week. I had just been there for lunch with my old mum. The locals were startled by a deep rumbling and shaking just as the Church has been. I utterly refute any assertion that Pope Francis has in any way sanctioned child abuse. That is what the media and the homosexual lobby would have us believe. While it is still a dreadful abuse of power the seduction of grown men at seminary is quite different to the sexual abuse of defenceless and innocent children that should always be condemned in the most severe way. Jesus Himself tells us that better had those sinners put a millstone around their own necks and thrown themselves into the sea. There is clearly no return from this crime against the little ones. Pope Francis would give his life for the children of abuse. He is a good shepherd, a good priest, a priest forever after the order of Melchisidek. We are his people, the sheep of his flock. How I long for The Warning when the conscience of the world will be corrected. Until then I will presume my pontiff is innocent. He and Jesus are the little ones of God and their Father will deal with their abusers. In Scotland we refer to a child as a wean. (Pronounced wayne as in John Wayne) a wee ane or wee one. Our weans are our most precious of Gods gifts and the love that Holy Father demonstrates for them is exemplary. God bless the Pope. At your own risk, Bishop Gracida has posted on his blog, https://abyssum.org/ a scathing article by ANNE BARNHARDT, a Catholic professor. It made my blood run cold. How could he post something that he didn’t believe to be true? I don’t know why but I can’t help but say that I am reading The Hiding Place by Corrie Ten Boom…. When I leave my mum will either not know I have been here or will not remember I have gone. My family is already torn apart by resentment etc. Its almost like the Church in miniature. Like your mum, mine seems to settle and clear with spiritual or church matters. At the start and end of each day my sister Dorothy sits in front of her and holds her hands. She closes her eyes while Dorothy leads her in prayer…. mostly prayers mum taught us as children. That moved ne to tears. Dorothy is not particularly religous. I may have already posted this so maybe I am already repeating myself. My cousin Bernie from Ireland has just died with Allzheimers diagnosed at the age of 50. God save us. Dorothy is a living icon of LOVE, Joe. Praying for the repose of the soul of Cousin Bernie, for the family and all who love Bernie. Prayers, as ever, for your domestic church of origin and for the too many families – literally everywhere – who are torn asunder in the aftermath of the enemy’s work. May we all take hope in the sure and certain truth that God heals all division and that nothing is impossible for Him. Prayers for your Mum, Dorothy and the rest of your family. In the midst of all the difficulty there are some very beautiful gifts like Dorothy. May she be blessed for her acts of kindness. Joe, my dear mother’s name was Dorothy. May her soul rest in peace. I have offered a prayer for the repose of Bernie’s soul. He was far too young to have had to suffer and succumb to such a dreaded disease. God bless all who love him in their mourning of his untimely death. Oh, I’m so sorry Joe, it’s very painful going through this, I’ve dealt with it several times in my own family. I’ll keep your family in my prayers. Anyway, I don’t think you have posted this before- if you did I missed it- becauuuse maybe I forgot too 🤭 hahaha. Isn’t it wonderful to see people open up to love, even going through this? It gives so much hope! I am just amazed how the Lord does this and how true love and joy calms them and removes the confusion, fears and insecurities, even if only for a few moments!! True Love makes everything better even when it’s painful! We will all be whole and filled with joy when we are together in Heaven with Jesus and Mary!! Prayers for Dorothy, Bernie, your mother, and your entire family, Joe. Sorry, Mick, but Jen was writing to Snowy and Deer hoping they are doing well. Wishing them both well, too, but we haven’t heard from Snowy recently. Wait… I’m confused. Jen is using the screen name Snowyjean? And, Mick, Snowy’s comment – to which Jen replied – is dated September 2nd. Welp… so much for my skills of observation! Didn’t even notice the date. I hope and pray that dear Snow and Deereverywhere are doing OK.
People twist the real meaning of the 4 pope prophecy given through Conchita of Garabandal: that after John XXIII there would be only 4 more popes. The prophecy really had nothing to do with the future number of popes, or who is the pope now, just that after Benedict it would be the end of an era, and the beginning of another. (one in which we will see the Tribulation, Warning, & Miracle ) It was MARKING A PERIOD IN TIME. So many saints have declared the authenticity of Garabandal and Padre Pio suggested in writing that we delay faith in the conversations between Mary and the seers at our peril. Conchita told us that a synod – a word unknown to her – would be associated with the prophesies. After their preview of Tribulation and Chastisement the seers asked Our Lady to take the children that they might be spared the dreadful ordeal. Our Lady said they woukd be adults when the events came to pass. They are all well into adulthood now. We await only the pope’s visit to Moscow. After his return there will be a revolution at the Vatican involving Nothern Spain, Italy and France. And this will just be the start. The media wants news. It will have it in superabundance. The times they are a changing – now!!!!! The point I am making is that Pope Francis cannot resign without negating the prophesy of four popes given at Garabandal. This will have to come to pass before anything else. Otherwise Our Lady would have said the prophesied events would happen after five more popes. But she said after four more popes after the death of John XXIII. So in my view Pope Francis cannot resign for now. Thank God.